This day, last year, I was in Odisha. In fact, I spent most of the summer months of 2016 in Odisha, travelling solo across the state, indulging my curious pursuits. Summer is not the best time to be there. The temperature would mostly hover over around 40 degrees. Mercury breaching the 40 degree Celsius mark too was a common affair. Most places gave the feel of a furnace, sizzling under gruelling heat as mercury kept rising to new levels. Every other day there would be news of deaths because of sunstroke and heat-related incidents. Sometimes the almost deserted streets would look like they were under an undeclared curfew, as the heat would become quite unbearable even at 7 in the morning. On most days, I would brave the heat and be out and about. One cannot wait for perfect weather conditions to travel and explore a new land, no? I would try to be brave and would keep convincing myself – ‘oh, it is just hot weather and nothing, a traveller cannot be so fragile. What if tomorrow is hotter than today?’ But on some days the severe heat would become so unbearable that my innards would whisper – you are dying of a heatstroke today. You are. Nervous, from the heat and the death threat, I would quickly gulp down another mouthful of lukewarm water from the water bottle. Staying hydrated is the key, the mind would try and rationalize. A sweaty selfie from exactly a year ago. 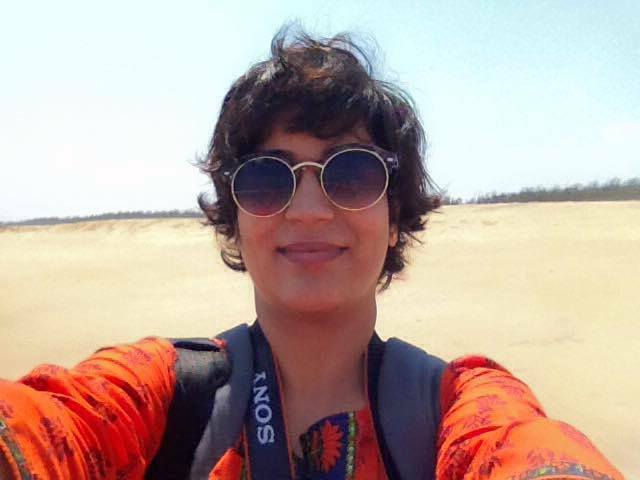 Taken on a deserted beach in some part of Odisha. I returned from Odisha in July. Not on account of the relentless heat, but because of its dry waterfalls. The state is home to some gorgeous waterfalls that come alive post monsoons. So I was back on home turf with plans to be back in a few months, once the rains settled in and the waterfalls were back to being their seasonal glorious selves. Not all best-laid plans see fruition. Mine went awry because of a series of some avoidable and many unavoidable circumstances. Skipping the details here, for it would mean treading into personal affairs territory. The crux of the matter is, I could not be back in Odisha in 2016 winters and could not plan any long term travel up until now – summer of 2017. And now that I finally have time to travel, Odisha is still a few months away. So what do I do in between? Curious Pursuit of a solo backpacking trip. Across Punjab. I am off to explore Punjab. With just a backpack in tow. The plan is to travel across the state and experience its myriad hues, wonder at its known and lesser-known historical marvels, trudge along the state highways, wander through its countryside and admire its huge canals. Of course, I’ll be stopping at the big and small dhabas too. There are some places that I have already visited but there are many that I have only heard about and kept planning on seeing them someday. And as the adage goes, “Better to see something once than to hear about it a thousand times.” I guess it is time to make that ‘someday’ happen. For this trip, which I am assuming would take more than a month’s time, there is no itinerary in place. In all my solo travels, I have never had any itinerary, so this time too it is all going to be impromptu. The deal is to start from one corner of the state, then just go with the flow, and keep moving on. Of course, I will follow my instincts and adapt my travel plans accordingly. About a decade ago, Punjab became home. But then again, home was always a stopgap arrangement. A place to refuel in between travels. A place to pause while in transit. However, now after spending a considerable long duration of time at home, and travelling only intermittently, it is time to take to the road for the long haul and Punjab tops the list of places to explore. This is no academic trip and I have no inclination to document the state on any historical or anthropological parameters. 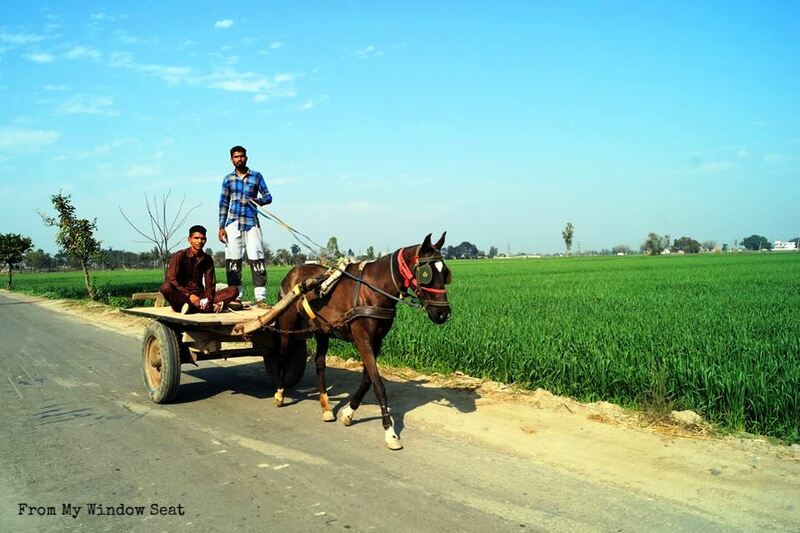 The sole aim of this wanderlust is to experience firsthand Punjab’s cultural vastness beyond the established stereotypes. I keep reiterating to all who would listen – there is so much more to Punjab than just Golden Temple and the beating retreat ceremony at Wagah border. There is more to its people than just their fondness for butter chicken and daaru. And I hope during this trip, I document and share experiences that underscore this belief. 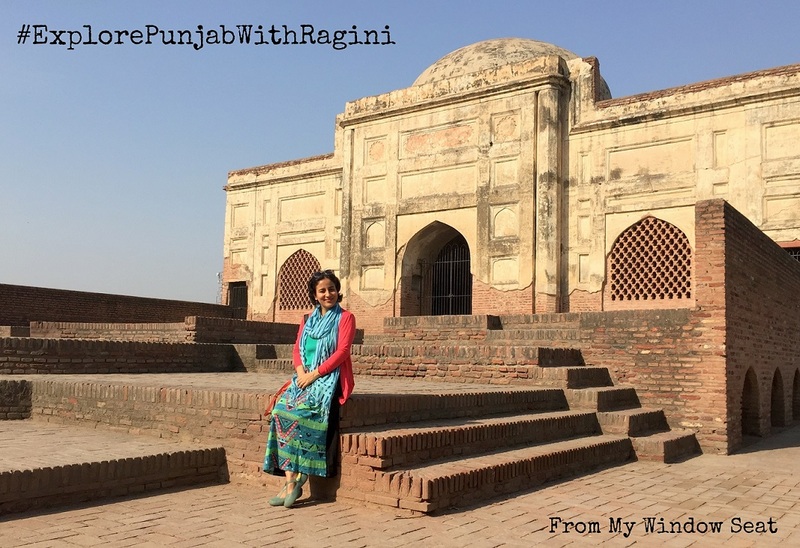 Since it is the age of hashtags, and because hashtags can help track down and collate data of a particular trip, I will be using one too and it is going to be – #ExplorePunjabWithRagini. The hashtag will also help friends, family, acquaintances and anyone who is interested, follow my journey through Punjab. However, on an honest note, since social media updates are quite a chore (and pretty distracting) the focus would always be more on the road (of course, from my window seat) and less on the phone screen. But I do hope to be regular with the updates about the places I see, interesting people I come across, the food I eat, and any shareable whims and fancies I indulge in. No bottled water – I have been doing this for a few years now and intend to carry on with this practice more seriously on this trip. I will be staying away from ‘mineral water’ and will rely solely on refilling my water bottle wherever I can. No GPS, no fancy navigation apps – Another practice I wish more modern-day travellers take to. In this age of technology, we have become so dependent on GPS and navigation apps to help us find our way on the road that the fine art of asking people for directions has almost become extinct. Instead of relying on apps and online maps, ask people on the road. Believe me, locals are the best guides. The bus conductors, the rickshawallas, the juice sellers on the bypass roads, the man on the road know way more about a place that any app ever will. Since this backpacking trip is to be executed using public transport, I hope my people skills come in handy and help me find interesting places to see.So this is it for now. The trip starts next week and I hope it is as insightful for me as I am I am hoping it would be. Also hoping the roughing it out with a backpack is not too rough on my weak shoulders. Let us see how this goes. Wish me luck. So this is it for now. The trip starts next week and I hope it is as insightful for me as I am I am hoping it would be. Also hoping the roughing it out with a backpack is not too rough on my weak shoulders. Let us see how this goes. Wish me luck. Must appreciate and replicate your decision to ditch bottled water… God knows when we all started doing this… pooree zindagi. ghade ka panee piya or suddenly haath main bottle aa gayee…!!! Ji. 22 districts covering over 50,362 km², so I am guessing it will take me over a month to cover it all. I love India and have been several times. Punjab, however, is not somewhere I have been – but I look forward to following your adventures. and seeing beyond the stereotypes. Nice touch with the eco friendly approach to water bottles – it’s hot so stay hydrated! Love the sound of your next adventure! I’m also a big fan of talking to the locals to find your way and discover local tips, it certainly makes for much more enjoyable travels!